If you want to earn good money through agriculture, you need to take a look at this list of the best cash crops with the highest profit per acre. Agriculture can be a profitable business for everyone especially now when organic food and various super foods are a top trend in the world. Starting a business might be just an idea away from you and in case you need one, check out our article on 11 Most Profitable Agricultural Business Ideas for Young Entrepreneurs. Two years ago, an article entitled “What nobody told me about small farming: I can’t make a living” raised concerns about the sustainability of farmers. Soon afterwards, this side of the story was dismantled by Brent Preston, organic farmer and author of “The New Farm: Our Ten Years on the Front Lines of the Good Food Revolution“. According to Brent Preston, one of the biggest mistakes involving farming includes differentiating it from other businesses. Production and marketing are essential for successful business including that of growing cash crops. Cash crop farming, also known as cash cropping or commercial farming, is farming that includes growing so called cash crops with the purpose of earning money. Crop selection is based on a couple of factors including location and size of the farm, marketability and profitability of a certain crop. The choice of most profitable plants to grow and sell depends a lot on the so called “biotic factor” which refers to living organisms such as insects, pests, weeds, disease pathogens and ruminant animals that can impact the plant’s growth and development. Some crops are more susceptible than others and it is important to investigate a little bit before starting a business. With the advancement of technology, almost anything can grow in a greenhouse and some of the cash crops from our list are among the most profitable cash crops for greenhouse. 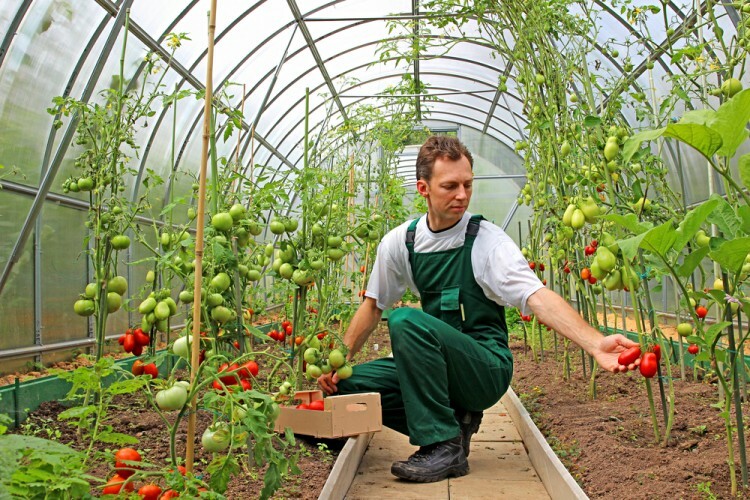 For example, many herbs, including basil, are best grown in a controlled environment such as greenhouses. You should also consider topographic features such as physical and chemical properties of the soil, prevailing climate type, humidity as well as adaptability of a certain crop. It is logical that the most profitable cash crop in India will differ from that in the US. Even if you read discussions on this topic it is hard to pinpoint what agricultural crop is most profitable per acre. Depending on the location, some of the most profitable cash crops in India include: rice, cotton, daal (lentils) as well as various types of flowers. Since this article focuses mainly on highest profit per acre, it is a must to consider crop marketability and profitability hence the crop should be in a (considerably) high demand. If this part is done right, your future business will be another proof that there is good money in agriculture. High profit cash crops can take up a different amount of land. For example price for tomatoes is not that big per pound but if you have a lot of land, quantity will definitely give you good money. Tomato might not be the best cash crop for 1 acre but some other cash crops from our list, such as garlic or gourmet mushrooms do not need much space to grow and the profit is great. If you have a small farm or only 1 acre or land, a lot of cash crops from this list will be a good choice for you. Besides agriculture, raising livestock can also be a good business, so you may want to check our article on 11 Most Profitable Livestock to Raise in 2017. In order to compile this list of the best cash crops with the highest profit per acre, I took a look at our older list of most expensive specialty crops in the world and checked the profit of these crops. Also, I read an LA Times article on growing hemp and making money out of it. With so many healthy recipes that include hemp products, it made sense that demand for hemp is growing. I’ve investigated a little bit about the growth of goji berries in America and it turns out that those who succeed can earn A LOT of money per acre. It was more than enough to place these super berries on our list. While scooping around various websites about agriculture I found out about the profit made by growing willows, tomatoes, rapeseed, etc. After a thorough investigation, we present you the list of 10 best cash crops with the highest profit per acre. Despite the fact that it is logical to rank these cash crops according to profit per acre it is very hard to find reliable data on actual profit for every crop, possibly because a lot depends on the region, climate and quality of the soil and seeds. Thus we decided to provide you with data we found but without ranking the crops since a lot depends on environmental circumstances.